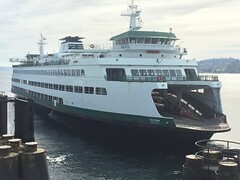 BREMERTON, Wash. - State officials say the ferry Tacoma, which broke down in Puget Sound last month, has more extensive problems than they previously thought. The ferry lost power with hundreds of passengers and cars aboard and began drifting July 29 on its way from Seattle to Bainbridge Island. It was eventually taken under tow and is still being assessed at a maintenance facility in Bainbridge Island's Eagle Harbor. 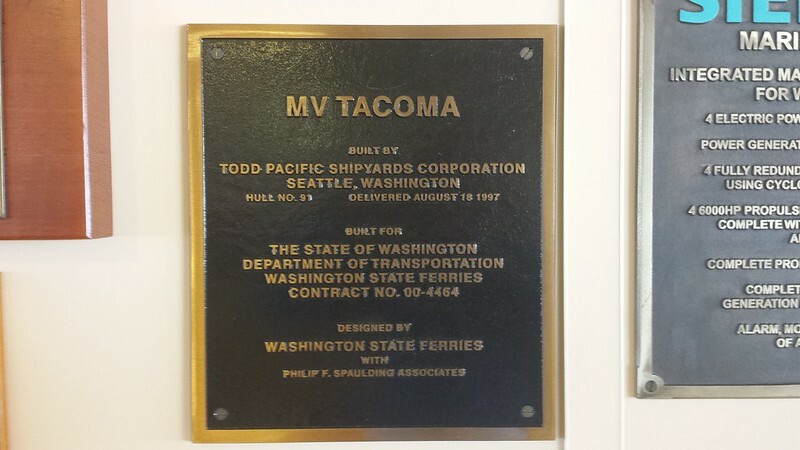 The interim director of Washington State Ferries told The Kitsap Sun the problem with the Tacoma is believed to be a switchboard that controls the ship's propulsion. He says it could take a few more weeks before they get a repair plan from the manufacturer. So what is the scoop on the Tacoma's propulsion system? If she had simply smoked a breaker or three I think we would know that by now. Is this more a computer/electronics problem? What are the implications for the other Jumbo MK IIs? However, the vessel was due for regular maintenance from October to December. That raises the possibility it’s out until early 2015. “ I would rather have that done right than quick,” Capacci said. Story is on the front page today. I was reading the maintenance contracts for WSF, it looks like the Tacoma is going to drydock in 2015 to get the same treatment the Puyallup got like engine refurbishment and propeller renewal (5 bladed propeller more than likely). Not a surprise, but certainly goes against the vessel maintenance schedule. The Tacoma rusting away in Eagle Harbor, September 20th. The other side of the vessel is not quite as rusty, but this one sure is. The Root Cause Analysis Reports are out for the power failure incident. Found here (PDF, 4.63 MB). 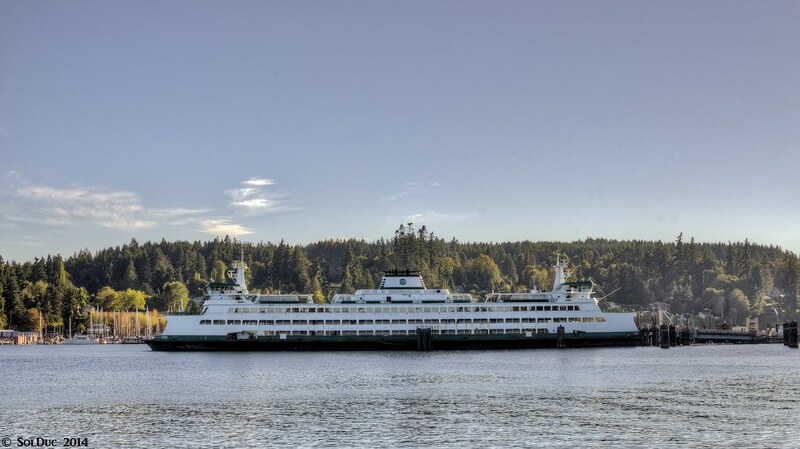 The MV Tacoma went dead in the water off Bainbridge Island in late July because of a voltage surge that fried two fuses after a breaker was opened for the ferry's Generator 4 as the vessel approached the Bainbridge dock, Washington State Ferries officials said Wednesday. "We have found the problem, and we have identified a fix for it," said Lynne Griffith, Assistant Secretary for the state Ferries Division. It was a never-seen-before problem, said Mark Nitchman, the staff chief engineer of the Tacoma. It was the first time in the ferry's 17-year history that such a surge has been seen, Nitchman said. The Tacoma will be out of service until spring, officials said. Officials estimate that the repairs to the vessel and its sister ferries will cost $1.8 million. The Tacoma went dead in the water with more than 400 passengers aboard on the afternoon of Tuesday, July 29 after departing the Seattle terminal for the 12:20 p.m. sailing. After the ferry lost power, the ship's crew dropped anchor — the first time in 30 years for a Washington state ferry — on the approach to Bainbridge to prevent the vessel from being beached by the current. Officials said a flaw in the ship's design led to the power loss. A protective device in the circuit breaker control failed, Griffith said, which led to a chain of events that knocked out the ship's power. "This was not caused by the way we operate the vessel, nor was it related to any of our maintenance practices," she said. Griffith said the technology that would have identified the problem didn't exist at the time the ship was built in 1997. A minor design modification will be needed on the Tacoma and its sister ships in the Jumbo Mark II Class to include additional redundancies, Griffith said, so the problem doesn't happen again. The repair plan for the Tacoma has been submitted to the Coast Guard. The Coast Guard has to approve the plan before all of the repairs can get underway. Washington State Ferries Director Lynne Griffith, addressing the media Wednesday aboard the 202-car boat at Eagle Harbor Maintenance Facility, said repairs will cost $1.8 million and take until spring. The money will be paid out of the system’s emergency repair fund. Insurance can’t contribute because the deductible is $3.6 million. 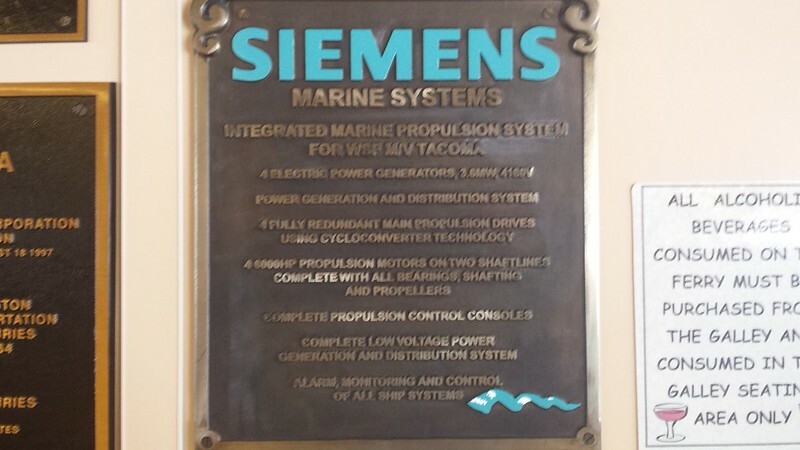 Propulsion systems manufacturer Siemans Marine Solutions isn’t liable because the 17-year-old ship is out of warranty. Repairs were originally expected to be completed in December, then extended to early next year. They’ve been pushed to spring because several parts are already obsolete and have to be custom made in Germany. The other two boats in the Jumbo Mark II class, Wenatchee and Puyallup, are safe to operate, Griffith said. 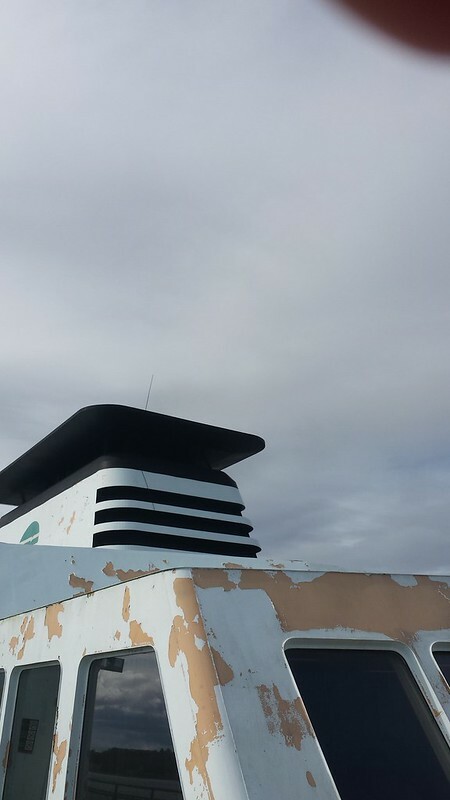 Modifications recommended by Siemens can be made overnight and no sailings will be missed. The proposed fix must first be approved by the Coast Guard. The 460-foot-long Tacoma was cruising at 16 knots, about to enter Eagle Harbor on a clear, 80-degree day when it lost power. It happened when workers fired up a third engine, which is used when docking. The two drive motors already running went dead. The chief engineer sent workers to investigate. They reported smoke in a switchboard room and evidence of an explosion. After the ferry came to a stop, the crew dropped anchor to keep it in place. The ferry Sealth was diverted from the Bremerton-Seattle route and pulled the Tacoma away from shore. Private tugs towed it to the Bainbridge dock where 405 passengers and 138 vehicles got off. Siemans and an independent third party determined a protective device in the circuit breaker control failed, leading to a chain of events that resulted in significant damage to an electrical switchboard. It is attributed to a design characteristic that didn’t allow the protective device to function as it should. The technology to detect the problem didn’t exist when the ferries were built. “It wasn’t caused by the way we operate the vessel or maintenance practices,” Griffith said. The Tacoma is powered by four diesel-electric motors. Diesel engines turn generators to power electric motors, said Puyallup chief engineer Mark Nitchman, who took reporters to the massive engine room and showed them in detail what happened. 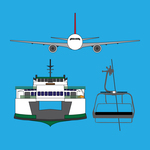 Since 2007, the system has been operating the Jumbo Mark IIs on two drive motors and starting a third one when approaching the dock in case of emergency. The move has saved 700,000 to 800,000 gallons of diesel a year, Nitchman said. The Puyallup and Wenatchee are now running on three engines at all times until changes are completed in the coming weeks. 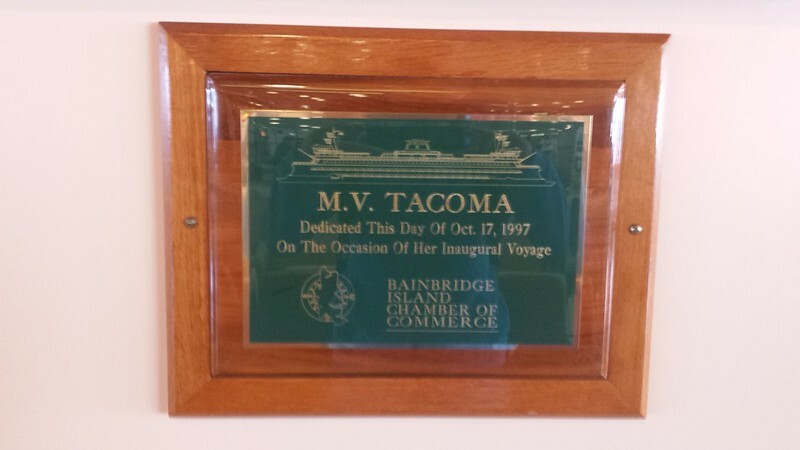 The sequence of events began at the Tacoma’s previous docking in Seattle. After it landed, the third motor was turned off, causing a voltage surge that blew out two flare-sized fuses in one generator. It wasn’t something the engine room crew would normally detect, Nitchman said. When the third motor was started as the ferry entered Eagle Harbor, safety devices didn’t get the power they usually do. A built-in protective device is used to detect blown fuses — but it only detects when one fuse or all three blow, not two. A relay is supposed to keep a circuit breaker from closing. It didn’t, resulting in a 4-second, 20,000-degree arc flash — (EDIT: that was C not F which was left out of the article) hotter than the surface of the sun, Nitchman said. Gases exploded and damaged switchboard components. In 17 years of operating the three boats, the circumstances that led to the power loss had never occurred. Thanks for the newspaper articles. I saw a similar story on KIRO last night. It would help the clarity of the story if reporters could be precise in their terminology when referring to diesel engines and electric motors. I won't even dream about having a reporter keep AC, DC, alternators, generators, rectifiers or inverters straight. When the third motor was started as the ferry entered Eagle Harbor, safety devices didn’t get the power they usually do. I read that to indicate that the control power that was supposed to operate the protective relay came off of one phase from the main engine/generator set that was being started. If so, that would seem like a good place to use auxiliary power and/or a UPS. A built-in protective device is used to detect blown fuses — but it only detects when one fuse or all three blow, not two. A relay is supposed to keep a circuit breaker from closing. So were propulsion motors at one end single phased? According to the maintenance schedule, the Tacoma will be back in a week or two. I think you got the month mixed up. The one I read (last updated 02/18) has sea trials starting early March and return to service near the end of March/early April. SEATTLE (AP) - Washington State Ferries says the ferry Tacoma is ready to begin sea tests after crews repaired its electrical system. The Tacoma has been out of service for seven months while its damaged propulsion switchboard system was rebuilt. 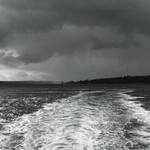 The ferry built in 1997 lost power last July 29 while traveling from Seattle to Bainbridge Island. Ferry system spokeswoman Susan Harris-Huether says a design flaw prevented a protective circuit-breaker device from working properly. That resulted in significant damage to the electrical switchboard components - and ultimately led to the power failure. Starting Thursday, the ferry system says people may see the Tacoma in Elliott Bay as crews conduct three weeks of sea trials. It is showing up on vesselwatch and is roughly crossing the Mukilteo-Clinton route now. WSF has posted the report on the Tacoma electrical system failure. Taking the third main off line after landing in Seattle caused a voltage surge and two legs of the three phases blew fuses. When the generator was put back on line approaching Winslow the power imbalance from the damaged equipment knocked the other two generators off line. The report states that the frequent starting and stopping of the third main engine without increased maintenance to electrical system components contributed to the failure. Or, put another way, the change in operating practice without a change in maintenance practices saved thousands of gallons of fuel every year but ended up coating millions in damage, re-engineering, repairs and lost revenue. A rare visitor to the South Sound today. 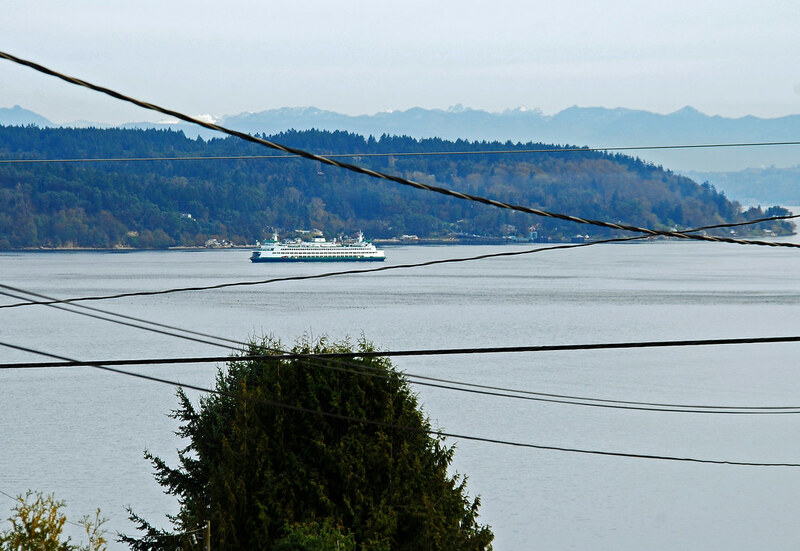 I just spotted Tacoma coming down Colvos Passage, and snapped a pic of her passing in front of Tahlequah on the south end of Vashon. Sorry about the power lines. We have a great view from our house, but those do get in the way. Sorry about the power lines. We have a great view from our house, but those do get in the way. On the other hand, they are partly the means of sending messages, posts, videos, and photos to us members on this forum. It's neat how we can communicate these days. Wired and wireless. Underwater? Just ask a fish! 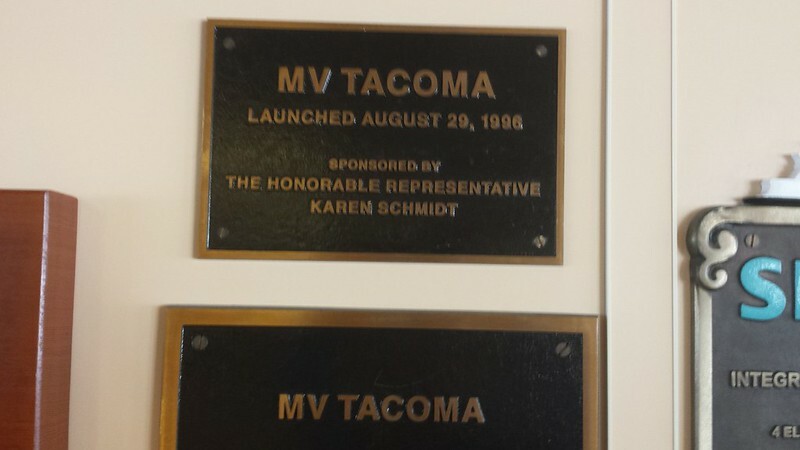 The Tacoma is replacing the Wenatchee today. It's being moved from E.H. to Bainbrodge. I don't know what run she will take over on, but it could happen as early as 13:10. Wenatchee is going to be getting regular annual maintence. Should be out for 4-6 weeks.